Hey there! I hope you had a wonderful Christmas if you celebrate the holiday. Adam, Cecil and I had a fun, relaxed day with family. We got the usual much-too-generous gifts, but also some really funny and sentimental ones that I wanted to share with you today. 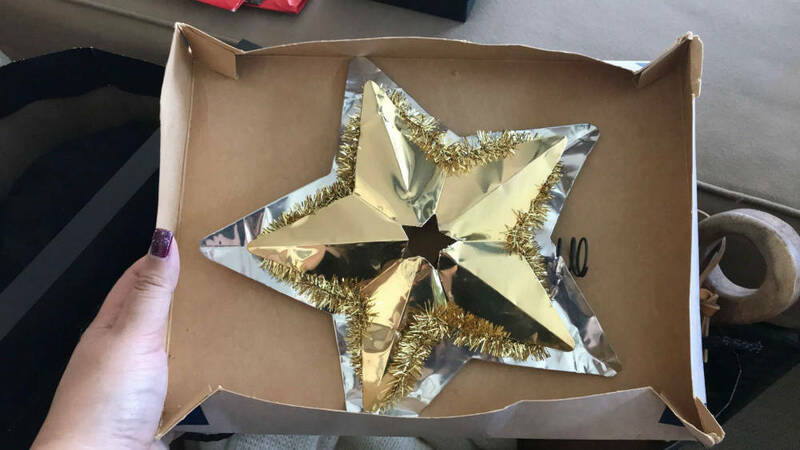 Actually, the very first thing we opened was an old box that contains the star that Adam’s family put on top of the Christmas tree every year when he was growing up. 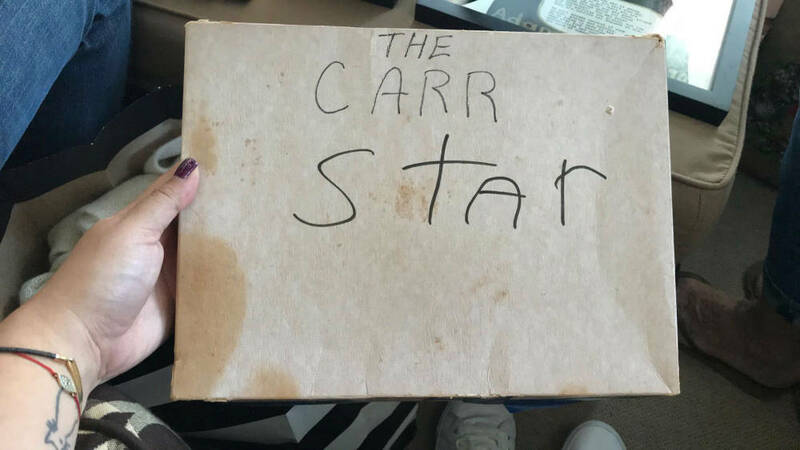 It’s called the Carr Star because his last name is Carr. I honestly love this so much and can’t wait to put it up on our tree next year. What a sweet and thoughtful gift to give this to us! Aren’t gifts like this just the best? 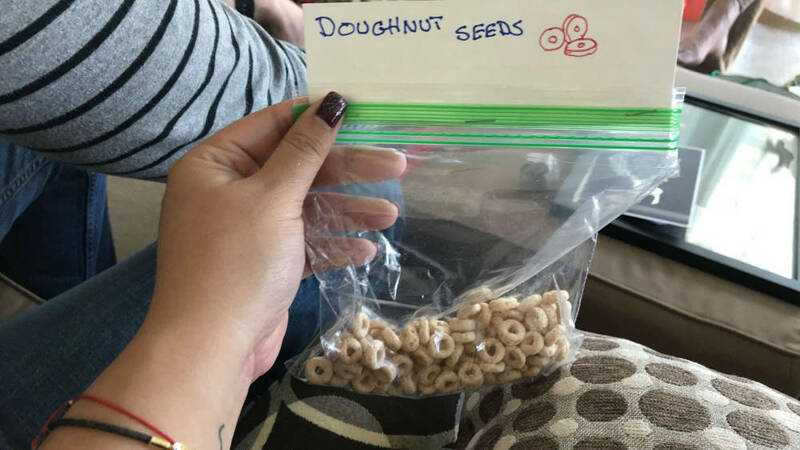 Adam’s dad also gave us a box full of the funniest things including doughnut seeds :D. It’s honestly too bad that these aren’t a real thing! 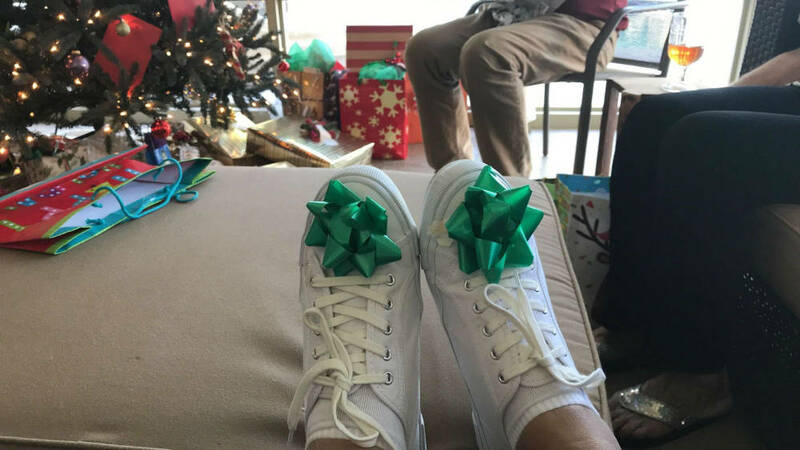 While we were unwrapping gifts Adam put these bows on my feet. I sure hope this means I will be receiving the gift of running from my doctor when I see him next week! 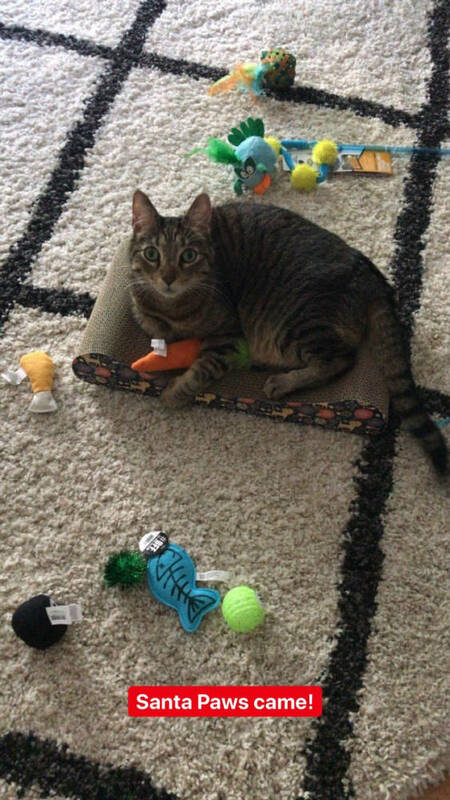 Of course Cecil received a visit from Santa and was treated to so many new things that he had to take a nap after opening all his gifts ;). See the face he’s making? That’s the look of shock and amazement you make when you find out you can have as many treats as you want on Christmas! For those of you wondering how Cecil’s vet visit went on Friday, I don’t have much news to share yet. He lost 2lbs since his last visit even though he’s eating more than ever. The vet did blood work but because the lab closed for Christmas we won’t get the results until Thursday. Until then the vet told us to just feed him whenever he wants which has made him a very happy cat. I’ll keep you posted when we get the results. Merry day-after-Christmas! I’ll have a vlog up tomorrow :). Best gift you received this year for the holidays? I hope Cecil is okay! Our vet always recommends blood work at their check ups but it is soooo expensive so we only get it done when we take him in for a specific problem that is happening and blood work is required to help figure out what is wrong. Is that what you do? YOU GOT THE CARR STAR!!!! SO cool. Those are the best gifts. This Christmas Eve, my grandma let us all pick a santa to keep. She has over 30 (I counted) beautiful santas either standing, sitting, or hanging in her house. So all of her children and grandchildren picked one, then we all picked again because there was enough for a round two. I’m glad I have something of my grandma’s because I don’t think I have anything from her! That star is too cool!! My favorite thing in Florida, is when you guys put lights on palm trees, that is too brilliant!! I need a palm tree to put lights on here! I got books and socks, and I was so happy with all my gifts!